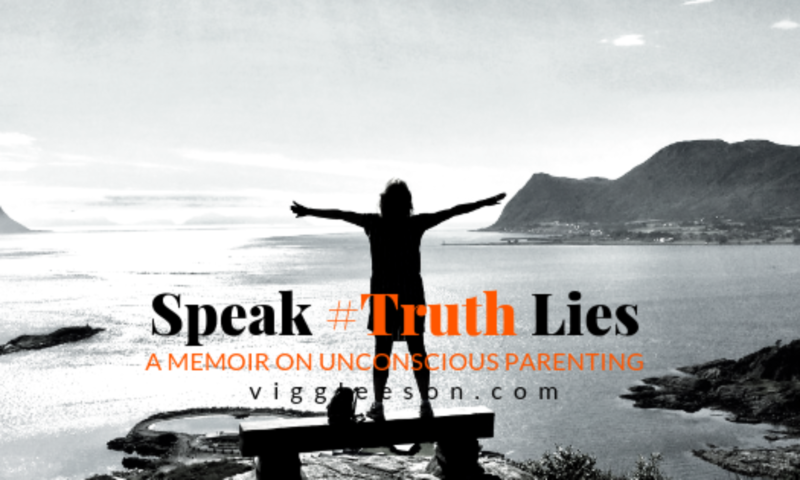 My memoir ‘Speak #TRUTH Lies’ is about growing up in a middle-class Norwegian family, where children are excluded from the conversation, including those that directly involve them. Where ‘We don’t talk about that’ is the standard reply to most questions. It’s about how ‘silence’ leads the protagonist on a path of lies and deceit, and a whole lot of trouble. And how the ‘silence’ slowly kills the parent-daughter bond, during her teenage years, when at the same time, the parent’s marriage disintegrate. Set the 1970-90’s Norway, we follow this screwed up family, living in one of the wealthiest oil nations of the world. On the surface, everything is perfect and prospering, while underneath a sinister river of stagnant water swirls. ‘Speak, #TRUTH, Lies’ is about how a mother, struggling to cope, tune out her daughter, leaving the bond between them fraught with scars. Scars that can only heal when, the daughter, much later in life, a grown woman and mother herself, start to look for the truth. Here she finds, not only a compassionate understanding of the life of her mother but also forgiveness for her own bad behaviors and a love for the one she used to be. One of my guiding lights on my journey is Danielle LaPorte’s beautiful quote from her book White Hot Truth. At the moment I’m hustling with how to best weave a beautiful and funny story of the whole truth, where every character, however devious, are fundamentally decent. What do you think? Would you want to read something like this? If you want to read the first chapter here’s a link. Speak #TRUTH Lies comes out in spring 2019. I’d love to keep in touch, don’t you? Pop your details in below and every few weeks, or so, I’ll send you my musings on memoir writing, blogs, and #TRUTH hunting.